When you think of heavy metal in Baghdad, you inevitably think of something entirely different than Acrassicauda (translated: black scorpion), a band with the unique distinction of being entirely one-of-a-kind. It is, quite possibly, the only Iraqi heavy metal band in existence. Defying convention, religion, and government oppression, the teens armed themselves with amplifiers, guitars, and Metallica and Slayer bootleg cassette tapes and rocked out. Vice Magazine caught wind of them before the invasion of Iraq got messy and sent some reporters to write about their musical experience. Now, a few years later, the band has not been seen or heard from in many months. 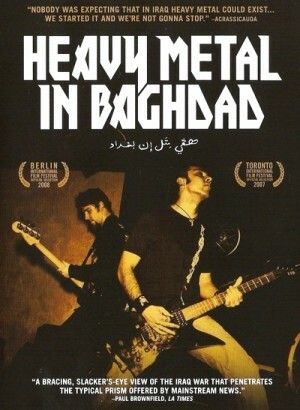 A small crew ventures into the heart of war-torn Baghdad to find the fate of heavy metal in Baghdad. • "Heavy Metal in Istanbul" (46 minutes) - The documentary that picks up where Heavy Metal in Baghdad left off.